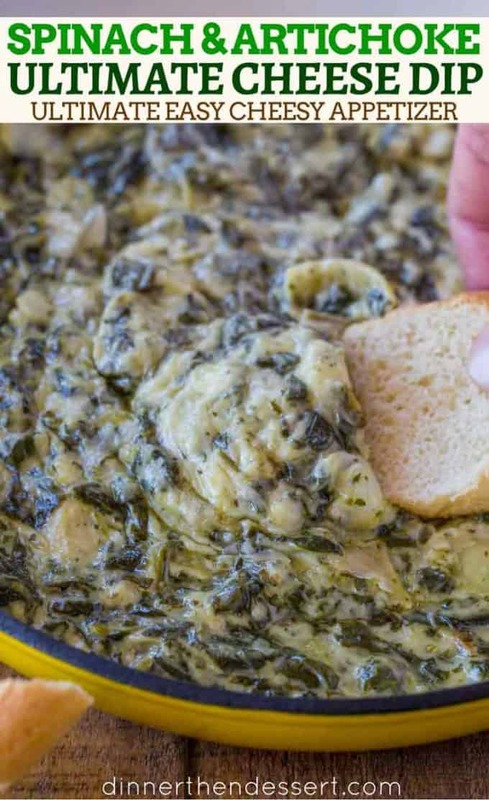 Ultimate Spinach Artichoke Dip prepped in just five minutes and ready to eat in 30! 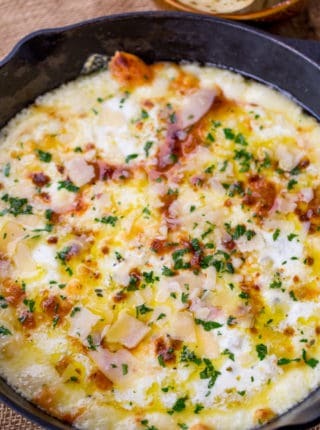 The perfect easy, cheesy appetizer with three cheeses. 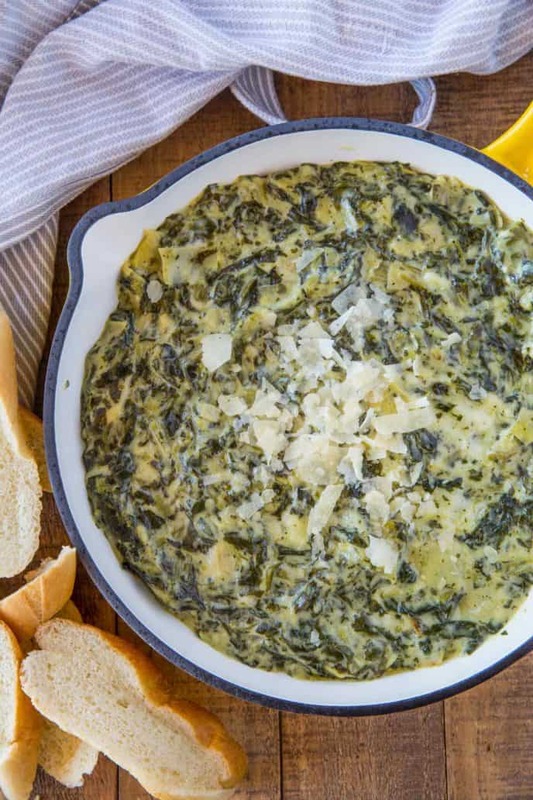 Spinach and cheese are the perfect way to *feel* like you’re eating healthy while really just eating as much cheese as possible, like my favorite Creamed Spinach. Dips are a fantastic party appetizer for a crowd and spinach artichoke dip is a classic fan favorite dish you can’t go wrong with. 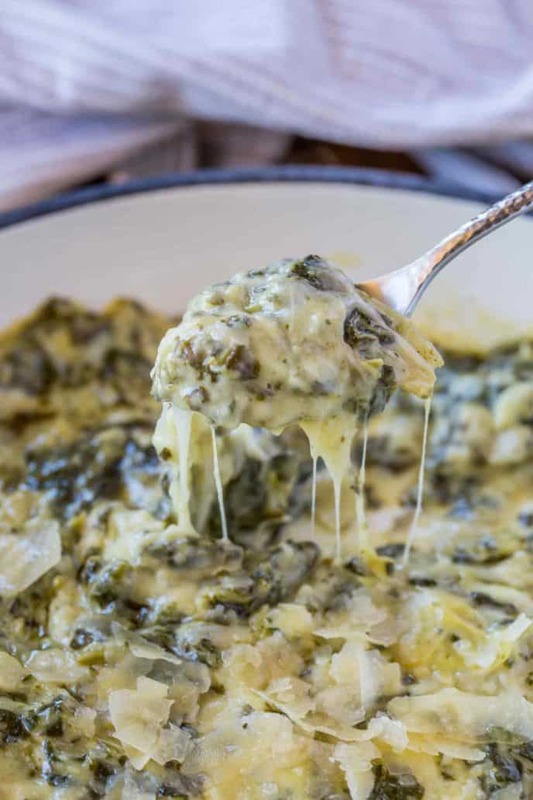 One of the reasons it likely became so popular is that the spinach and artichoke ingredients make people often question, “Is Spinach Artichoke Dip healthy?” I wish the answer to this question was yes, but no, it isn’t any healthier than any other pile of melted cheese. In fact its basically nachos with spinach. So don’t make this recipe under the assumption it is healthy. My version pumps up the Parmesan flavor, uses fresh garlic instead of powdered and I skip the mayonnaise all together in favor of sour cream. Spinach Artichoke dip with no mayo is a great flavorful version. The sour cream brings a tangy flavor while keeping enough fat content in the recipe to keep it from breaking the melted cheese sauce. Please don’t replace the sour greek with fat free greek yogurt and think the consistency will be the same. What chips go best with spinach artichoke dip? Sturdier tortilla chips and crispy sliced baguettes are the best for enjoying spinach artichoke dip as the dip can sometimes bend or break thin chips and soft baguettes. Can you use fresh spinach in place of frozen? Yes, absolutely, cook it down with some olive oil and once fully wilted let cool then squeeze all the liquid out of the spinach before adding to the recipe. What is Spinach Dip Made of? Spinach Dip is made with frozen spinach, artichokes, sour cream, cream cheese, Parmesan, mozzarella and spices baked until bubbly. Can you make this dip in the slow cooker? 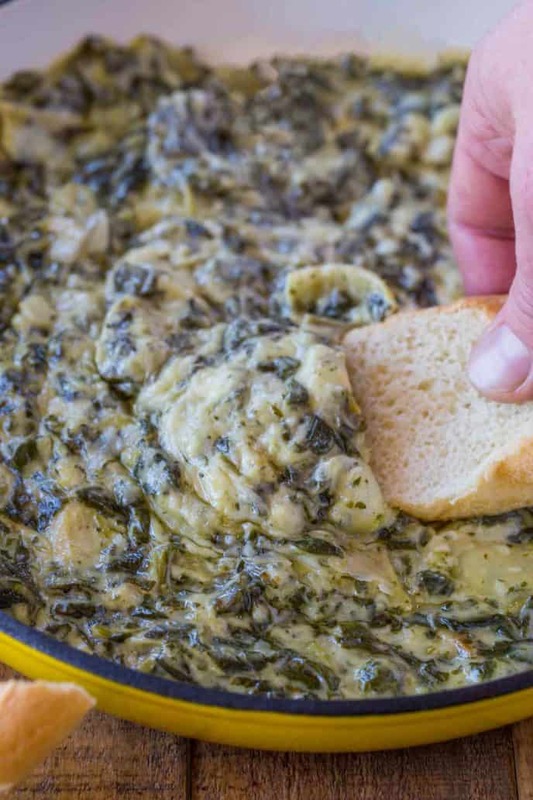 Can you freeze this Spinach Artichoke Dip? I don’t recommend freezing this dip as it contains sour cream which can break the sauce when unfrozen. 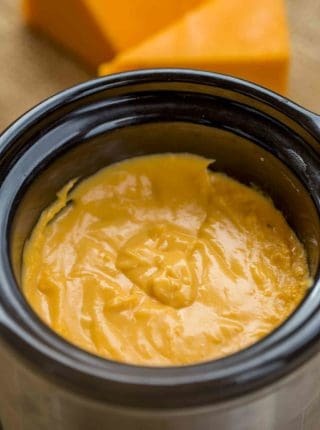 Even if you use mayonnaise it will also break the cheese sauce upon defrosting. Artichoke Hearts: Easy to use and store, marinated for extra flavors. Yellow Enameled Cast Iron Skillet: The perfect cheery cast iron skillet but with enamel for easier and more gentle cooking. 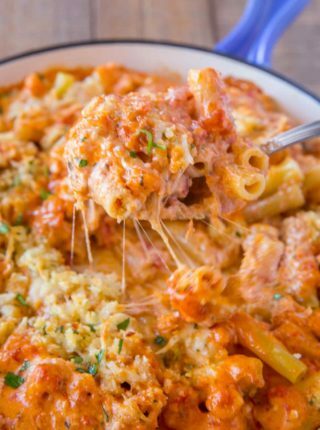 In a large bowl add all the ingredients except 1/4 cup mozzarella and 1/4 cup Parmesan cheese together until well mixed. Pour into an oven safe pie plate or skillet. 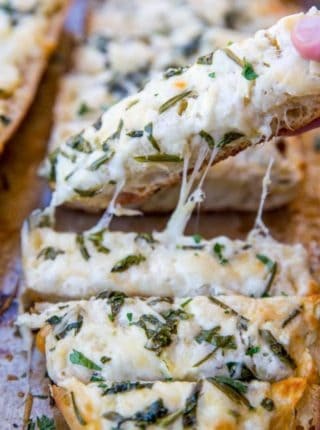 Top with mozzarella cheese and bake for 20-25 minutes. How long would I need to bake it if I double the recipe? You may only need to add 10-15 minutes more of cook time. Enjoy! I made this dip . It is delicious!! can i make this ahead let say a day? 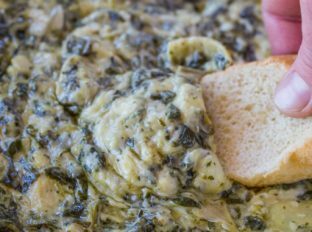 I’ve tried out A LOT of spinach artichoke dip recipes and this one is my favorite—and my husband agrees! Thank you! Very easy and delicious!! I even doubled it for a holiday gathering with friends. So glad you enjoyed it, Rose! Thanks for the 5 stars. So Good. This is my favorite! You’ll want to place it in an oven safe pie plate or skillet. So sorry about that, thanks for letting me know. Sounds awesome & easy. I’m going to try stuffing some boneless chicken breasts with this dip. I’m sure they’ll be fantastic. Thanks for the yummy recipe. This looks amazingly delicious! Perfect for game day and parties! This looks so good! I cannot wait to try it! Artichoke dip is one of my absolute favorite things in the world! That looks fabulous, craving some right now! Thank you! It’s so good, it’s hard not to want to eat it all up! YUM! Definitely making this to bring to a get together! Smart decision!! People will be inviting you to All the get togethers knowing you’ll be bringing this! 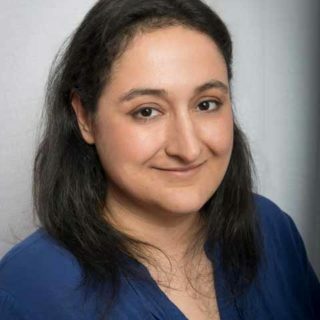 Gosh I wish I was your neighbor and that we got along great and that you always made too much food and you always knocked on my door with a plate of leftovers. But you’re not and so I will settle for the recipe. Thank you for this awesome one!